...A PLACE TO PUT HIS BEER! What better way to get Dad interested in patio furniture, add a cooler! Four Sides. Thousands of Memories. sofun®'s first and ultimately favourite item that jump started the creative revolution for Jadon to start building and creating fun, inspiring items for the outdoors. The sofun® tables have 4 amazing moveable panels that instantly change your regular coffee/chat table into a dining experience. It gets even better when you realize the center piece is fully interchangeable with an ice bucket (note: rectangle table doesn't include fire pit). 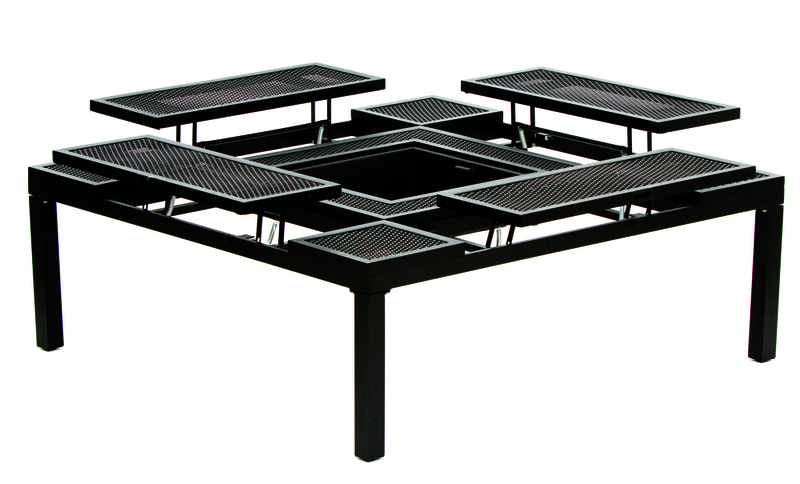 It’s a table that can pretty much do everything except cook your dinner but its sure to leave your friends and family talking for weeks about that last BBQ they had at your home. sofun® tables come in 3 shapes and sizes and can be done in virtually any colour frame one desires. The frames are all aluminium construction with the bolts being done in stainless steel so they will never rust. 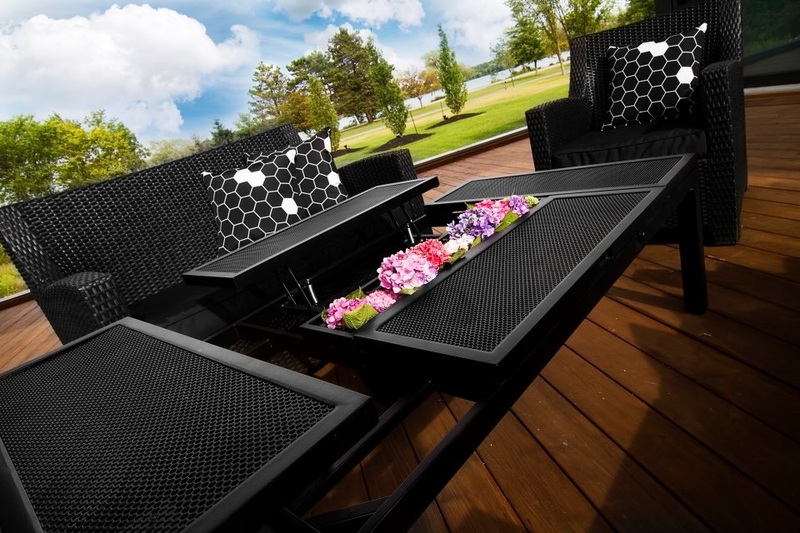 The accessory components are made from steel with the fire pit having an enameled coating to allow for natural wood fire. The Rectangle sofun® Table comes with an ice bucket with flat metal cover. The sofun® Square Table has 4 amazing movable panels that instantly change your regular coffee/chat table into a dining experience. It gets even better when you realize the center piece is interchangeable with an ice bucket and natural fire pit.